One of my favorite things about Southern food is how deeply intertwined it is with tradition. Of course I love a fresh twist on a recipe of old, a modernized nod to something from years ago, but there’s something really special about doing things the same way the generations before you did. Souteherners have mastered the art of honoring food traditions, and I’m so grateful that this way of living is slowly rubbing off on me. Kinda like Saturday morning breakfasts. Growing up, I don’t remember my Mom spending a whole lot of time in the kitchen. She’d whip out costumes for school recitals or little crafty projects for she and I to complete on the weekend, but cooking was not her forte. Despite this, I have distinct memories of a dish she would occasionally make on Saturday mornings for the family. Equal parts food and science experiment, Mom’s “Pancake Surprise” was a meal and a show all in one. She’d fill her casserole dish with a loose batter, and I’d sit by the oven watching the confection rise and bubble and crater all over. In the end, we’d cut big squares to douse with syrup, and I just knew it was the coolest breakfast on the planet. Years later, I watched someone make a Dutch baby pancake in a cast-iron skillet, and I realized that was Mom’s pancake surprise in action. I hadn’t eaten it in years, but the sight of those edges rising dramatically over the edge of the pan was enough to make my mouth water. I couldn’t wait to try it for myself. 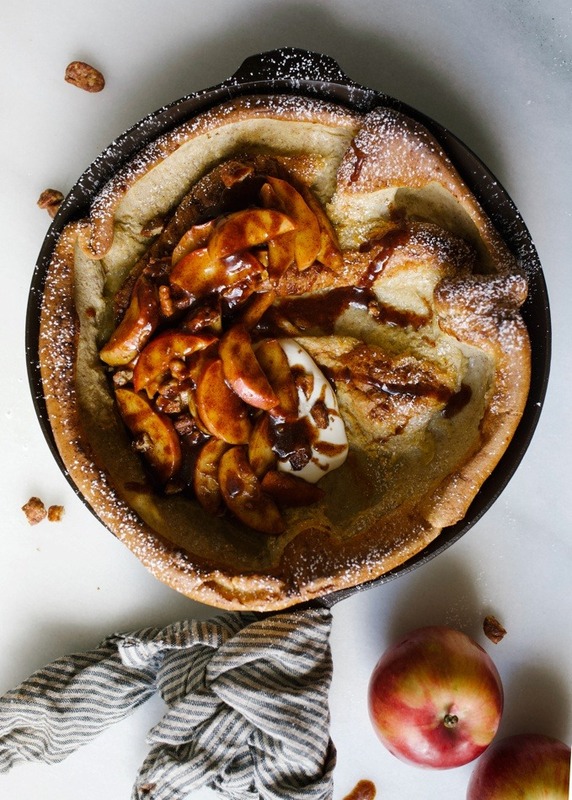 So this pecan apple Dutch baby is a nod to those Saturday traditions. Of course it’s delicious, as anything given enough butter and sugar should be, but what I love about it more than anything is watching my kids peering into the oven like I used to. Begging for more syrup like I used to. Licking their sticky fingers like I used to. Breathing new life into those things that were apart off my childhood makes me feel like we’re creating something bigger than breakfast here… we’re feeding on something that will nourish us for years to come. 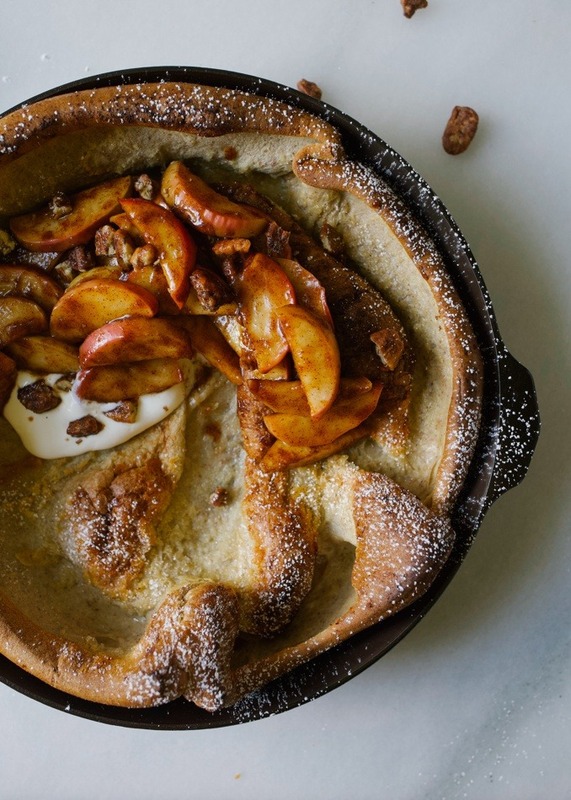 To make this pecan apple Dutch baby, we start with the batter. Eggs and milk are whisked with flour, sugar, and a smattering of spices. In the meantime, we melt some butter in a skillet in our piping hot oven. Carefully swirl the melted butter around the pan and pour the simple batter straight in. Allow the baby to bake and rise until brown and seriously puffed. While the baby is baking, we can prepare the apples. 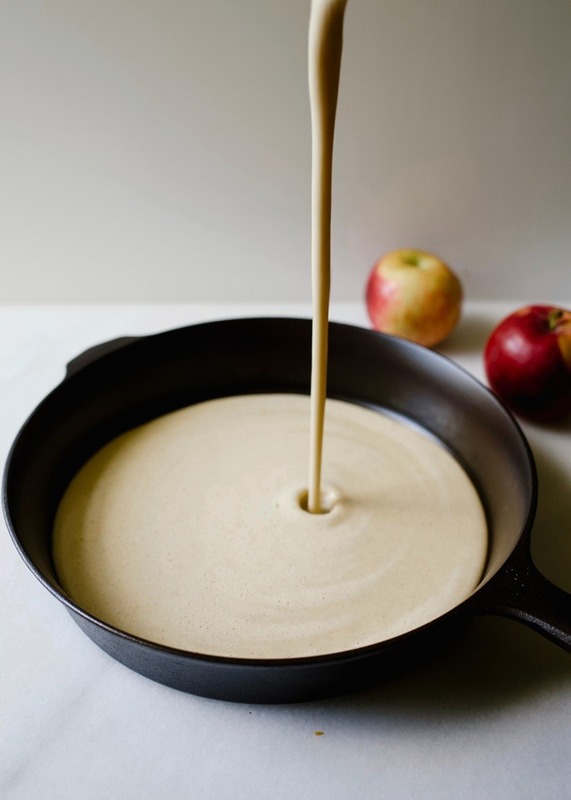 More melted butter is combined with sliced apples, cinnamon, sugar, and salt. Stir until the apples have just barely softened but not lost their shape. 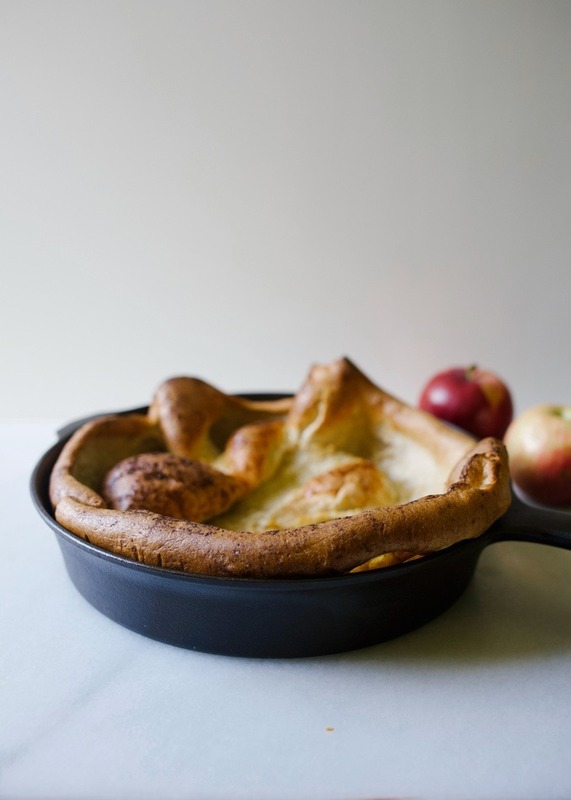 Remove from the heat while you wait for your pecan apple Dutch baby to finish baking. When the pancake is complete, I like to top it with the cinnamon apples and glazed pecans. 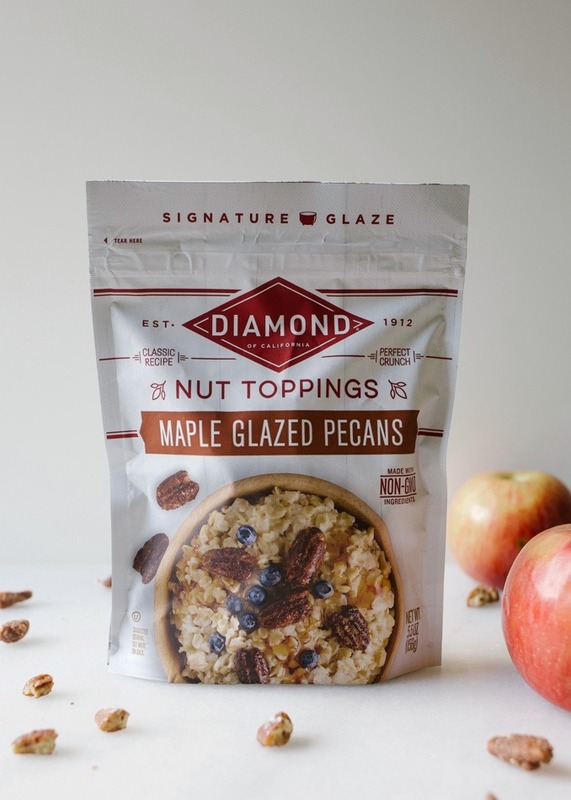 For this, I’m so thankful to have partnered with Diamond of California Nuts. Their glazed nut toppings triumph beyond salads and are a perfect crunchy addition of sweet and salty to a number of dishes including this pecan apple Dutch baby. Here, I opted for the Maple Glazed Pecans, but any number of their options would have been terrific. I caught myself nibbling on the pecans while I waited for the pancake to finish up, so beware… they’re addicting. Although it may look a finicky breakfast to prepare, this little skillet pancake is actually quite simple and is the perfect dose of comfort and tradition to add to your Saturday mornings. I hope you’ll give it a try this weekend and share it with some people you love. Happy Friday, y’all! This post is sponsored by Diamond of California Nuts. 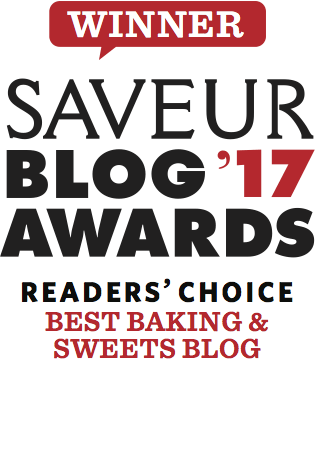 Thank you for supporting brands that makes the recipes on this site possible! This pecan apple dutch baby is a giant puffy pancake topped with cinnamon-spiced apples and glazed nuts. 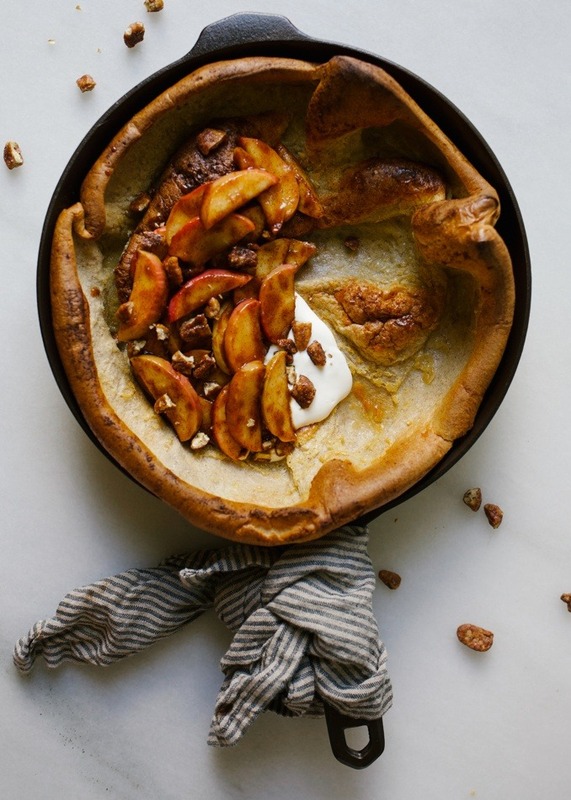 A fun breakfast for fall, this dutch baby is a delicious treat to share! Read more about the recipe here! Preheat the oven to 425 degrees. Once preheated, add butter to a 10” skillet and place in the oven until just barely meted. Remove from oven and carefully swirl the butter around the perimeter and edges and bottom of pan. Meanwhile, prepare your batter. Whisk together the eggs and milk. Add the flour, brown sugar, cinnamon and apple pie spice and whisk to combine. Pour the batter into the butter-coated pan and bake for 20 minutes. Lower the heat to 300 and bake for an additional 5-8 minutes or so, until the pancake is puffed and bronzed all over. Remove from oven and top with the apples and glazed pecans. You can serve with yogurt, if desired. Melt the butter in a small pan over medium heat. Add the apples, brown sugar, cinnamon apple pie spice, and salt. Stir to combine and allow to cook, stirring occasionally, until the apples have barely softened but not lost their shape. Serve on top of the pancake. This looks great! I was wondering, what if I don’t have an oven-safe skillet? What would you recommend using? Hi Kate. 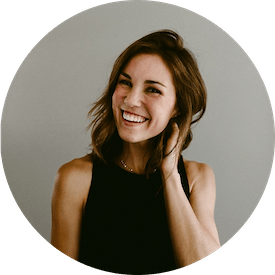 Aunt Nikki just posted that you have been featured in Sothern Living magazine. That is awesome. Congratulations. Love Your great Aunt Shirley. Boy that sounds really ancient. Lol.! Loved the article about you in Southern Living magazine.